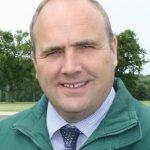 Gary Ford was appointed NFU Chief Poultry Adviser in September 2013 having joined the NFU in January 2009 as a Group Secretary based in Staffordshire. Gary’s practical poultry experience came as an agricultural manager in the broiler industry where he worked for ten years before he joined the NFU. In this role he was responsible for all aspects of production on company farms as well as contract growers - a role that brought him into contact with many of the key players that are involved in the poultry sector today. Gary is based at the NFU’s HQ in Stoneleigh, Warwickshire however he also spends time at the NFU’s London and Brussels offices. Covering both the poultry meat and egg sector Gary’s role is to promote the interests of NFU poultry members and to provide support - the recent AI cases being a good example. Gary has a degree in Law from the University of Staffordshire and a degree in Agriculture from Writtle Agricultural College, Essex. Gary is from a farming background – his parents are beef and sheep farmers from Worcestershire.